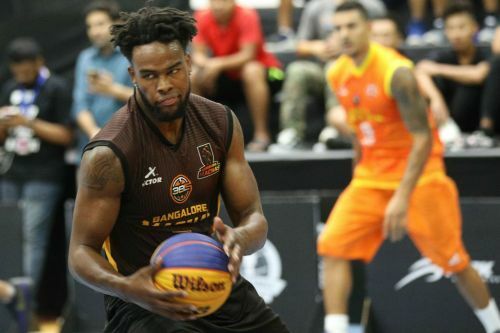 For the first couple of rounds of 3X3BL's Season 1, the Bangalore Machas did not make a lot of noise [QF appearance in Round 1 and Group Stage Exit in Aizwal]. Things changed from Kolkata, however, when the team took a step forward and made it to the SF's but fell short once again. 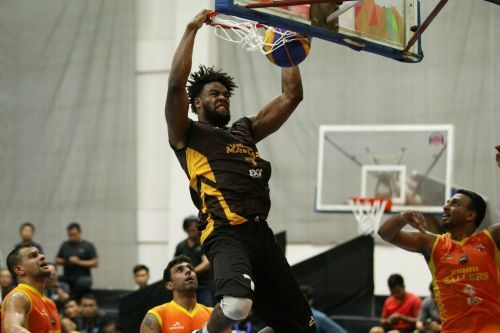 After falling short twice in the knockout stage, the Bangalore Machas used their experience made sure it didn't happen once again when they reached the finale of Round 4 in Chennai against the Delhi Hoopers. Q: It's got to be a sweet feeling right now. For the first and only time in Season 1 of the 3BL, a team other than the Delhi Hoopers have won a round. How do you feel right now? 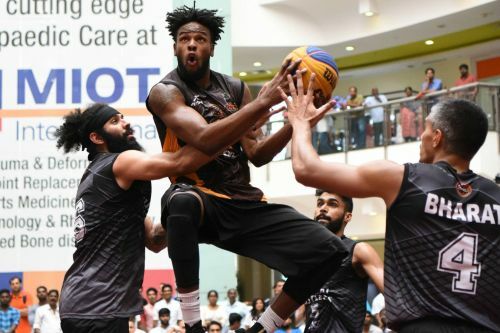 Could you then elaborate on the entire experience of the 3x3BL season so far, specifically Round 4 in Chennai? Timajh Parker-Rivera: The experience has been great. Travelling to these cities and getting the love from the fans has been awesome. It's definitely a different style of play than what I'm used to but it's been pretty cool to experience something like this. Round 4 was great for my team [the Bangalore Machas] in general just because we had come so close before. For us, to finally get the job done was great for the team. Q: Was there anything specifically that you did differently in Chennai because the team you beat were the 3-time defending champs - the Delhi Hoopers? TPR: I feel like a lot of strategy went into this round. We had gotten close in previous rounds, so we knew that with some adjustments we can make it happen. Everybody on the team just stuck to their roles and we got the job done. Q: So you feel just the experience of playing the previous three rounds got you the win? TPR: For sure. The experiences of learning which players do what best and scouting the other teams as they play was huge. Delhi obviously had won the previous three rounds, so watching their play and taking that into account as we went into that final game helped a lot. Q: Has the host city played a factor so far in Season 1 of the 3X3BL? TPR: I feel that it has, in the aspect that the fans are usually going crazy for whoever the home team is. Chennai and Kolkata [Round 3] had tremendous support, so we are just looking to get the same reception. Q: Any specific plans as the defending champions for this round? TPR: We are going to game plan for every game and we will go into every game trying to win it. Q: How much have you played 3-by-3 format before this? TPR: Oh no, I'm a 5-on-5 player. I have played 5-on-5 my whole life. I had never really heard anything about 3-by-3. I saw the USA team play and I noticed that it was getting big. So when I got the call about India, being the first time in this country, it was really interesting because it's always special to be part of something that's a first. So I decided to come out here and give it a shot. Q: I have already asked this to a couple of players but I wanted your take. What's the biggest challenge transitioning from 5-on-5 to 3-by-3? TPR: I didn't know it was as tiring as it is. It's non-stop. If a foul doesn't get called for seven minutes, that's seven minutes you are running to and from the three-point line [two-point line in this format]. It's very fast-paced, which I didn't expect it to be. When we play regular 3-on-3 back home, you check it up but this is super fast-paced. You got to get to 21, the 2's here are important. I would say just the scoring aspect, with it being a game to 21, if you don't have a shooter or somebody who makes a lot of 2's then you have to strategize a little more. It's good though. Q: Before coming to India, had you played professional basketball elsewhere? TPR: I played in Germany and just the last year, I was in Portugal. Q: We heard that the Los Angeles Lakers are your favourite team in the NBA. So could you give us your take on what their upcoming season might look like? TPR: Well, we are getting the greatest player in the world right now, so you can't count them out. I think they'll finish somewhere like the 6th or 7th in the West because the West is a tough conference and with the addition of LeBron James, and I looked at their roster the other day, the team isn't very bad. They are going to have a lack of shooting but I think they can make up for that with the players they have with LeBron carrying the load. If we can bring that Cleveland Cavaliers team to the NBA Finals, I'm pretty sure he can get 6th or 7th in the West with the team he has. Q: So LeBron is your favourite player from the current pool of players in the league? TPR: No, no. I didn't say that. Don't get me wrong. Right now, it's probably Kevin Durant. 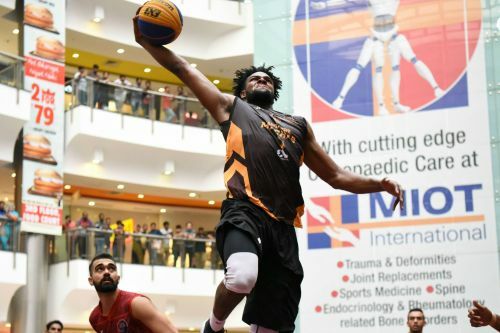 3BL Commissioner Rohit Bakshi: "The Ultimate Goal is for India to bring back a [3x3] medal in the Olympics"